The Colombian Navy: South America’s Powerhouse? The author would like to thank Colombian Rear Admiral (ret.) Luis Fernando Yance Villamil and Colombian General (ret.) Enrique Peña Diaz for their comments and information, which were of invaluable help for this report. This past August, tensions flared up between Colombia and Venezuela after three Venezuelan soldiers were injured in an incident along their common border. The situation worsened as Caracas started deporting undocumented Colombians that live in Venezuela. Thankfully, diplomacy prevailed and the incident did not escalate. Nevertheless, this is not the first time that the two South American countries have been at odds with each other. The two states had confronted one and other before, specifically at sea in 1987 and more recently in 2008. The focus of this analysis is not to theoretically discuss what would happen if Colombia and Venezuela went to war. Rather, we aim to take this possible inter-state conflict as a point of departure to discuss the status of the modern Colombian Navy. 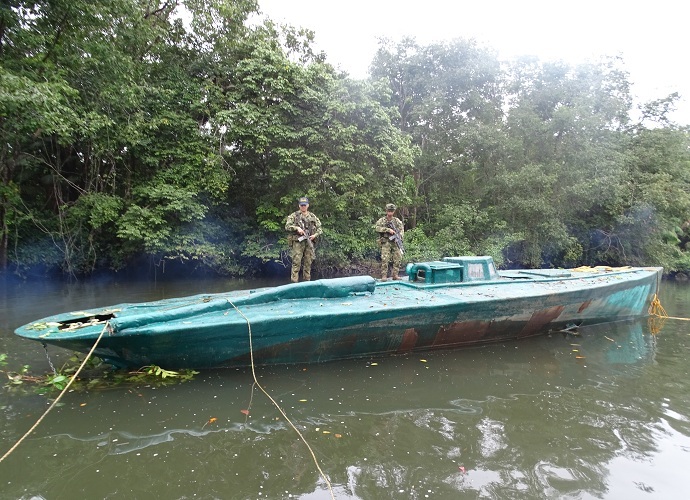 For decades, the Colombian Navy’s security operations have revolved around combating maritime crimes like drug trafficking. Nevertheless, a Navy’s raison d’être is to protect a country’s waterways from internal and external threats. Given recent acquisitions, including two German submarines, Colombia’s Navy can certainly be cataloged as a regional powerhouse with a strong deterrent capability. There is an obscure but also amusing fact about Latin American navies in general: they have not participated in inter-state warfare in decades. As I have discussed in previous analyses, the last time two Latin American countries went to war with each other was the land-based conflict Peru and Ecuador in 1995. Moreover, the last time a Latin American warship fired a missile at another warship was during the 1982 Falklands/Malvinas War between Argentina and the United Kingdom. Colombia is well known for the internal conflict that has plagued the country for decades. When it comes to inter-state wars, Colombian Army units and Navy vessels participated in the Korean War, via the UN, while the last conflict Colombia fought with a neighboring state was the 1932-1933 war with Peru, which was centered in the Amazon. In the past few decades, there have been isolated incidents which brought Colombia to an inter-state war. Most recently in 2008, there was a bizarre incident in which Colombian troops attacked a FARC insurgent base in Ecuador without requesting Quito’s permission. Venezuela’s Hugo Chavez deployed his troops to the Colombian border, declaring that he would go to war with Colombia to protect its ally Ecuador. Prior to that, there was the aforementioned 1987 incident in which the ARC Caldas, a Colombian corvette, entered waters that Venezuela claims as its own. Both countries deployed troops to their borders, and Venezuelan F-16 warplanes flew over the ARC Caldas and other Colombian vessels in the disputed area. As was the case with this most recent incident, the crises in 1987 and 2008 ultimately did not escalate. This leads to one conclusion: there is no one in service in the Colombian Navy that has experience in an inter-state conflict. Moreover, no missile or torpedo has been launched from a Colombian warship or submarine in generations. Certainly, this fact does not minimize the capabilities, bravery, and overall professionalism of Colombian sailors who have plenty of experience in combating insurgents, drug traffickers, and other criminals in the country’s territorial waters and throughout the country’s numerous rivers. 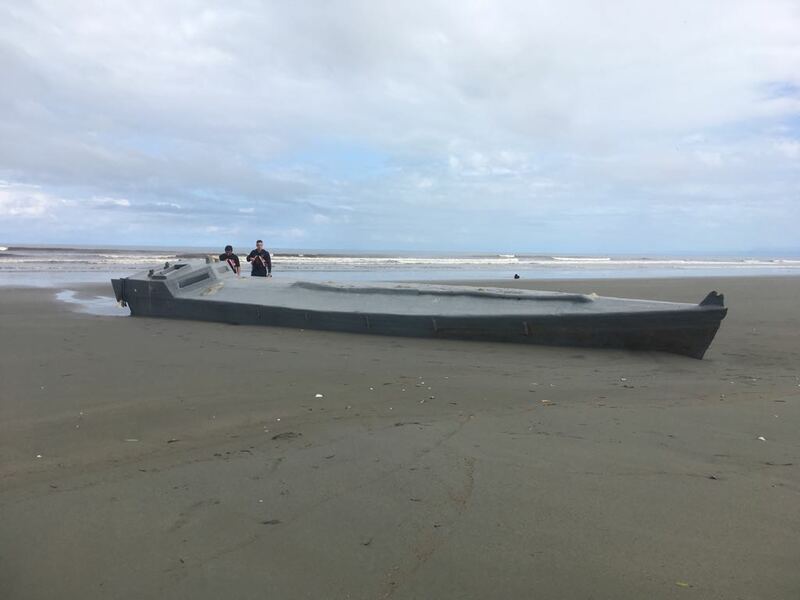 If anything, Colombia’s success at stopping maritime crimes (in April, it seized 1.3 tons of cocaine in Pacific waters) highlights how this service has adapted and transformed itself into a force that can face both traditional and asymmetric security threats. Nevertheless, it is an amusing factoid that, as powerful as the Colombian Navy is, experience in inter-state conflicts is beyond scarce among its personnel (though the same can be said of other regional navies). 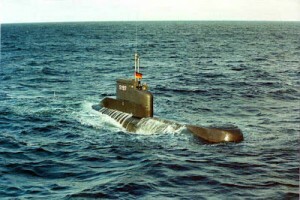 Colombia acquired two updated U-206A Submarines (pictured here) from Germany. submarines have been upgraded (they served in the German Navy for over three decades and were decommissioned in 2010) and, at the time of this writing, are been transported from Germany to Colombia via the freighter BBC Saphire. As for other acquisitions, Bogota has purchased a “fast ferry” transport vessel, the ARC Juanchaco, from the Dutch shipbuilding company Damen. Moreover, Colombia has also acquired a 76mm gun, an Oto Melara 76/62 Super Rapid (SR) Gun Mount, from the Italian company Finmeccanica. It will be placed aboard an offshore patrol vessel that the country is currently constructing. Finally, the Colombian Navy’s official website offers a detailed list of acquisitions and upgrades for 2015; due to space issues we will not discuss them here, but it is worth noting that these include modernizing the country’s frigates and upgrading bases like ARC Bolivar and ARC Malaga. Additionally, the country’s naval military industry is rapidly evolving. 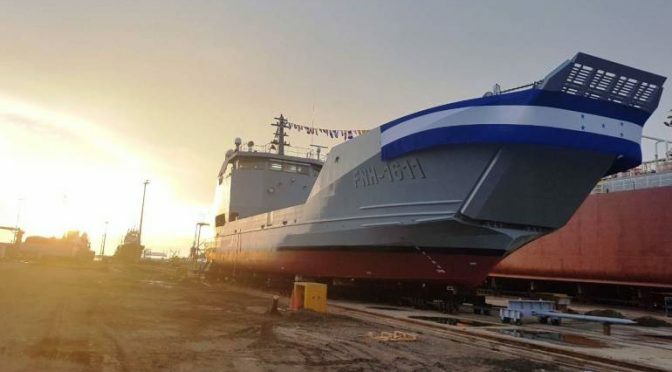 Case in point, the Colombian state-owned shipyard COCTEMAR recently delivered to the Navy the amphibious landing vessel BDA Golfo de Uraba, which can transport supplies to coastal and fluvial areas. This is the second of six vessels of this class that COCTEMAR is constructing for the Navy. 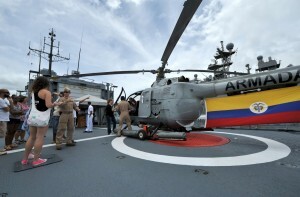 The Colombian Navy offered tours during RIMPAC 2014. RIMPAC 2014 and carried out naval exercises with Ecuador in August. 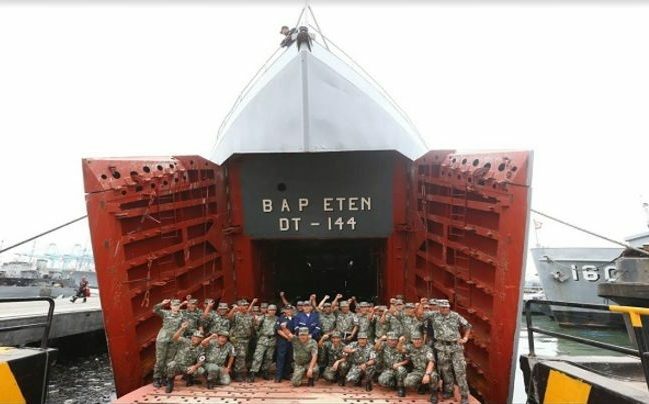 Finally, a crew of Colombian sailors is getting some first-hand experience in combat operations as the patrol vessel ARC 7 de Agosto has been deployed to the horn of Africa to participate in Operation Atalanta. While the Colombian Navy has carried out important acquisitions and modernization of its vessels, there are problems among its personnel. Just this past May, Bogota revealed a massive fraud operation among the country’s armed forces in which some 160 million Colombian pesos (around $52 thousand USD) were stolen from the military’s coffers. Among those arrested as part of this criminal ring were three naval personnel and one civilian that also worked for the Navy. The criminals utilized online transactions, using fake documents to wire money from the naval cadet school Almirante Padilla, to personal bank accounts. Moreover, the education that Colombian naval cadets are receiving may be called into question. The research group Sapiens Research publishes reports of Colombia’s best universities: in 2014, the best military university was the Universidad Militar Nueva Granada, which came at a respectable number 25. As for the navy’s cadet school, the Escuela Naval de Cadetes Almirante Padilla came at a dismal number 90, just above the Air Force’s postgraduate school. Colombian naval cadets receive good training at sea – this is best exemplified by how its flagship and training vessel, the ARC Gloria, has travelled around the world to provide aspiring naval officers with hands-on experience. Nevertheless, the education they receive on land at their university can greatly be improved if it wants to compete with some of Colombia’s best universities. Another worrisome development is the training that Colombian marines are receiving. Earlier this year, the Colombian news agency La F.m. uploaded a video showing marines being threatened and physically beaten by their trainers as part of an advanced training course. The marines were punched and kicked by their supervisors, even when they fell to the ground, all the while being verbally insulted. (Click here for the graphic video, in Spanish). Finally, as part of my research, I was unable to find reports of accidents regarding Colombian vessels. This is certainly a positive development, particularly as other branches have suffered accidents in the recent past (one of the Air Force’s Kfir warplanes crashed in December 2014 during a training exercise). With that said, problems among naval personnel, from corruption cases to controversial training, or lack of good education among cadets, must be dealt with in order to continue optimizing the country’s maritime force. While the Colombian Navy has acquired some major equipment, particularly two submarines and new landing vessels, it would be wrong to assume that it is partaking some kind of aggressive weapons-purchase spree. Rather, the Colombian Navy is going through a modernization process to maintain its ability to carry out operations, such as combating maritime crimes, as well as maintaining a deterrent capability from outside threats. Ultimately, the operations of the Colombian Navy rest on its personnel and its equipment. 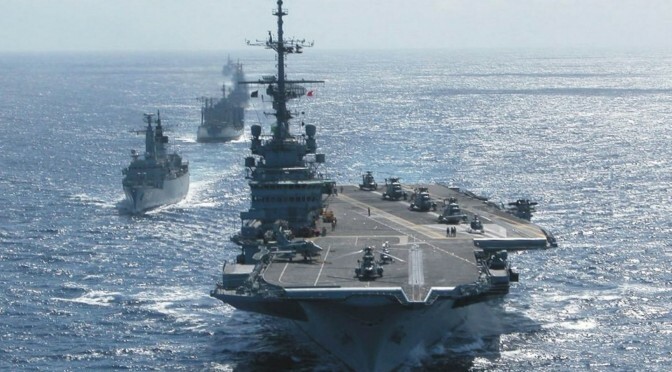 As previously mentioned, there have not been any major accidents regarding warships or submarines while the recent acquisitions and modernization of vessels leads me argue that the Colombian Navy is in ideal shape to continue its operations and deal with any foreseeable conflict. As for the personnel itself, the corruption case is a problematic incident but has not affected the overall status of the Navy. Of more concern are the (videotaped) cases of physical and psychological abuse against marines during training courses. This analysis would not be complete without discussing Venezuela-Colombia tensions. The two governments have a long history, including been part of the same country in the 19th century. However, tensions have regularly escalated, particularly as they both claim the oil-rich Gulf of Venezuela, which prompted the 1987 maritime crisis. Tensions increased during the presidencies of Venezuela’s Hugo Chavez and Colombia’s Alvaro Uribe, which culminated in the 2008 incident. Sadly, even after the two leaders left power, occasional flare-ups continued, such as this past August. It is important to note that under Chavez, Caracas spent billions of dollars on Russian and Chinese equipment for the Venezuelan armed forces, but the main beneficiaries were the Army and Air Force. 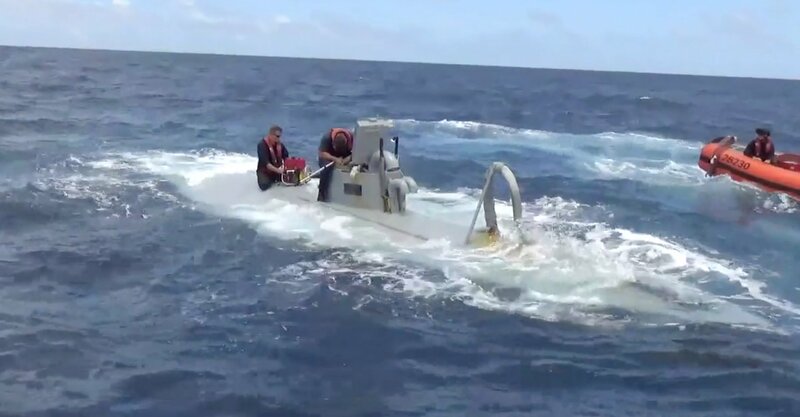 Recent open-source reports hint that the Venezuelan Navy is doing the best with what it has, which means repairing old vessels, like the submarine Caribe, S-32, and its Lupo-class frigates. The country’s acquisitions program can be regarded as modest – one recent example is the purchase of Damen-built patrol vessels. 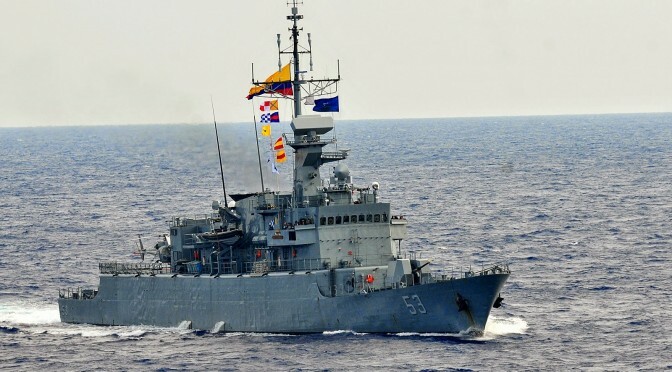 While it is not my goal to discuss a theoretical Colombia-Venezuela conflict, the information currently available regarding both navies provides a strong advantage to the Colombian Navy, as it has seasoned personnel with combat experience due to their anti-drug trafficking operations and the ARC 7 de Agosto vessel operating in the Horn of Africa. Of course, the caveat here is that the Colombian Navy has not participated in an actual inter-state conflict in decades (but then again, neither has the Venezuelan Navy), which means Colombian naval personnel lack that particular kind of combat-experience. 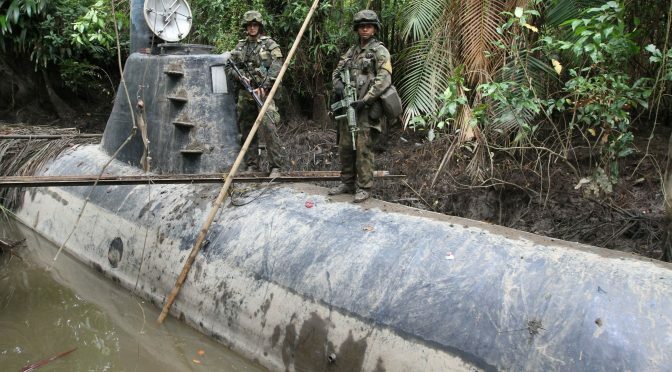 As far as the equipment goes, the current purchases provide the Colombians a formidable force, particularly when it comes to its submarine fleet. Navy carried out exercises with the country’s Air Force in June. Inter-agency exercises are important, but the Venezuelans are at a disadvantage as the Colombian Navy learns tactics and techniques from other navies. Regarding the U.S., close Bogota-Washington relations are no secret, both at the political and military level. When it comes to navies, apart from participating in joint maritime exercises, there are often meetings between the senior naval command of both countries. Case in point, this past January, Admiral John Greenert, Chief of Naval Operations of the U.S. Navy, traveled to Colombia to meet with Defense Minister Juan Carlos Pinzon and the commander of the Navy, Admiral Hernando Wills. Given the plethora of current analyses discussing how far the U.S. government (and military) will go to support their allies (i.e. via NATO in Europe or to protect Taiwan in the Asia Pacific), it is necessary to briefly discuss U.S.-Colombia relations if the South American state went to war; a Colombia-Venezuela conflict being the most plausible scenario. It is safe to say that the U.S. will not go to war over Colombia. Nevertheless, we can deduce that the U.S. would support to its ally, particularly if it is in a war against Venezuela, which has been a thorn in Washington’s side since the dawn of the Chavez era. Specifically, I would argue that Washington would focus provide intelligence to Bogota – a precedent would be the U.S. supplying intel to the UK against Argentina during the Falklands War. Ultimately, the question is: Is a war between Colombia and Venezuela inevitable? The fact that the crises of 1987, 2008 and 2015 did not result in conflict speaks well of how both governments preferred dialogue over war. Even more, just this past October, senior naval officers from both countries met in Maracaibo, Venezuela to discuss bilateral cooperation to combat crimes, including drug trafficking, along their common border. Such meetings are important confidence-building mechanisms to improve military relations. Nevertheless, a maritime border in the Gulf of Venezuela has yet to be agreed upon by both governments, which will probably lead to another 1987-type incident in the future. Moreover, the Venezuelan economy remains in a dire state, and the Venezuelan government has turned to constantly accusing foreign actors, namely the U.S., of trying to destabilize it. Even more, Caracas has also accused Bogota of trying to destabilize its economy and fomenting the mega-inflation that Venezuela is currently experiencing. The bottom line here is that accusations over economic warfare and/or unresolved border issues will likely bring about a new round of incidents in the near future. Hopefully these will not end up in a conflict but, in this author’s personal opinion, the Colombian military may be wondering if Venezuela may try to ignite a conflict in order to divert attention from its internal problems (a la Argentina during the Falklands War). 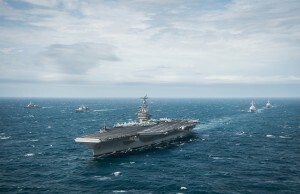 When discussing maritime strength among military powers, it makes sense to focus on navies with either nuclear-powered vessels or in terms of modern equipment. When it comes to Latin America, assessing a navy’s strength is somewhat different as all tend to possess a mix of (sometimes very) old equipment, sprinkled with the occasional new vessel. The Colombian Navy has such a mix of warships and submarines – it has brand-new, domestically-manufactured, landing ships while its “new” German submarines are already over three decades old. Nevertheless, this author would conclude that it enjoys a high level of readiness (best exemplified by successful operations against maritime crimes). While nobody wants war, if it does occur, Colombia’s Navy is certainly a powerhouse to be reckoned with.